Open Thursday - Saturday 5-10 p.m. and located at 135 W. Columbia St, Bourbon Street Hideaway offers delicious cajun fine dining. With menu items like Chicken and Waffles and the Philly Cheese Steak, you can get great food for a great price! After a TinCaps Baseball game or an Embassy Theatre performance, head to Champions for a bite to eat! Located at 1150 S. Harrison St. Hours are Sunday-Thursday 11:00 AM-11:00 PM and Friday & Saturday 11:00 AM-12:00 AM. A classic, 50&apos;s diner serving 15 people at a time featuring breakfast served anytime. Located at 230 West Berry St. Hours: Monday-Saturday 6 a.m.-2 p.m. and Sunday 7:00 AM-2:00 PM. 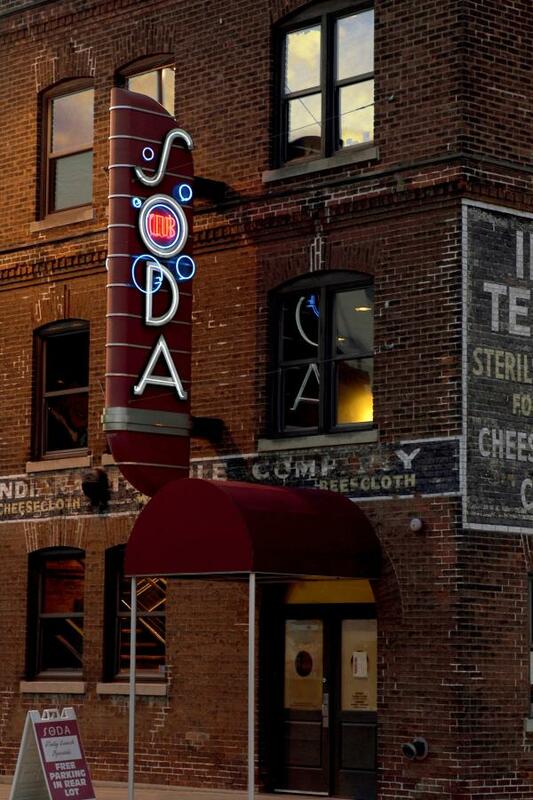 Club Soda, which is celebrating 15 years in Fort Wayne, is a fabulous downtown location for steaks, jazz and cocktails. With outdoor or indoor seating, it&apos;s a wonderful fine dining experience. Located at 235 E. Superior St. Located at 131 W. Main Street, Coney Island is one of Fort Wayne’s classic restaurants, serving up their famous coney dogs since 1914 in this historic gem. Hours: Monday-Thursday 8:00 AM-10:00 PM; Friday & Saturday 8:00 AM-11:00 PM; Sunday 9:00 AM-9:00 PM. As one of the only wine bars in Indiana, discover some great wines and enjoy a great meal with friends! Located at 301 W. Jefferson Blvd. Hours are Monday-Friday 4:00 PM- close, and Saturday 4:00 pm-close. *Kitchen closes at 10:00 pm Monday-Thursday, and Fridays & Saturdays the Late Night menu is available until 12:00 am. The Bar rail will remain open until the last call. The Dash In features excellent house-made soups and sandwiches along with over 50 craft brews and beers in an eclectic environment. Located at 814 South Calhoun St. Hours are Monday-Thursday 7:00 AM-11:00 PM; Friday 7:00 AM-1:00 AM; Saturday 9:00 AM-1:00 AM. Enjoy a sweet treat after dinner or a midday coffee at DeBrand Fine Chocolates&apos; newest location in downtown Fort Wayne. From their signature chocolates, and delicious ice cream and gelato, it&apos;s a great spot to celebrate or enjoy your company! Located at 878 Harrison St. Hours are Monday-Thursday 10:00 AM-9:00 PM; Friday & Saturday 10:00 AM-10:30 PM. Outdoor dining at its finest! Opened in spring, summer and fall, the Deck is one of Fort Wayne&apos;s most popular riverside dining spot with a full menu and bar. Located at 305 E. Superior St. Located at 305 E. Superior Street, Hall&apos;s Gas House and Takaoka of Japan are two separate dining establishments in one location. Takaoka of Japan hours are Monday-Thursday 5:00-9:30 PM (last seating), Friday 5:00-10:30 PM (last seating), Saturday 4:00-10:00 PM (last seating), and Sunday Noon-8:00 PM (last seating). 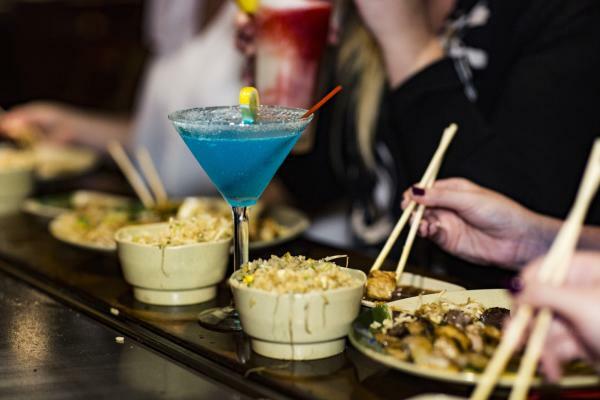 Head upstairs for Takaoka and enjoy the personalized experience of having your meal prepared on a hibachi grill. Or, grab a table that Don Hall&apos;s Gas House and enjoy their classic cuisine like the prime rib, seafood, or their cajun specialties. Don Hall&apos;s Gas House hours are Monday-Thursday 11:00 AM-11:00 PM, Friday & Saturday 11:00 AM - 12:00 AM, and Sunday 11:00 AM - 9:00 PM. A local favorite serving exquisite martinis alongside tasty dishes. Located at 536 West Main St. Hours: Monday-Saturday 4:00 PM-2:00 AM and Sunday 4:00-11:00 PM. Be sure to stop at the Hoppy Gnome for a glass of local drafts alongside gourmet tacos. Located at 203 E. Berry St. Hours are Monday-Thursday 11:00 AM-10:00 PM, Friday & Saturday 11:00 AM-11:00 PM, and Sunday 10:00 AM-9:00 PM. An Irish Pub in the heart of Fort Wayne serving traditional Irish fare as well as brews. 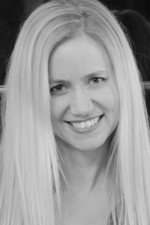 Located at 121 W Wayne St. J.K. O’Donnell’s hours are 11:00 AM -11:00 PM, Friday and Saturday 11:00 AM-12:00 AM. 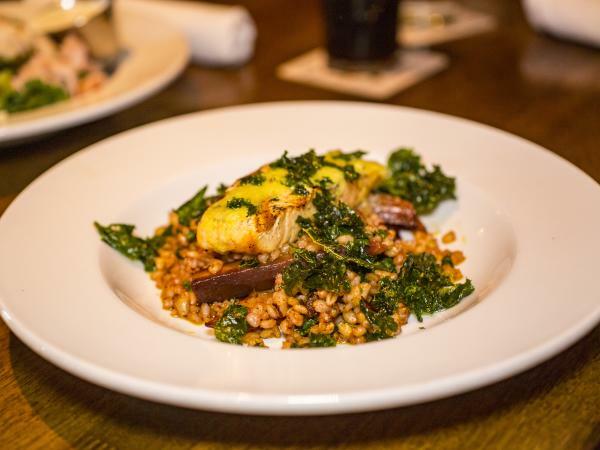 Enjoy handcrafted beer with some of their fresh and local creative dishes! Located at 1825 W. Main St. Hours are Monday 5:00 PM-12:00 AM, Wednesday-Thursday 11:00 AM-12:00 AM. Friday 10:00 AM-1:00 AM, Saturday 10:00 AM-1:00 AM, and Sunday 10:00 AM-8:00 PM. With national award-winning beers, craft cocktails, and live music enjoy a family-friendly meal at Mad Anthony&apos;s. Be sure to try out their great pizza or any of their delicious menu items. Located at 2002 Broadway. Hours are Monday & Thursday 11:00 AM-12:00 PM, Tuesday, Wednesday & Sunday 11:00 AM-11:00 PM, and Friday & Saturdays 11:00 AM-1:00 AM. Enjoy fine dining and Asian fusion cuisine at Nawa, located on Fort Wayne’s historic Landing. 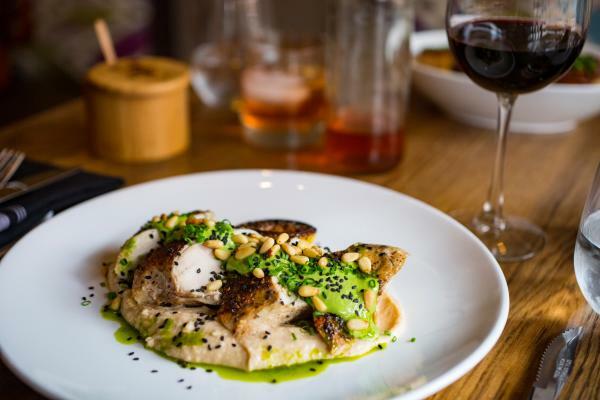 Take a seat for lunch, dinner or drinks at this restaurant offering a &apos;new and diverse fusion of tastes and beverages with far Eastern influences." Located at 126 W. Columbia Street. Hours are Monday through Friday 11:30 AM - 2:30 PM, Monday through Thursday 4:00-9:00 PM, and Friday and Saturday 4:00-10:00 PM. Fine dining in the heart of Fort Wayne’s art and theatre district on 200 E. Main Street. Enjoy eating out on the sidewalk or inside the ambiance of this fine dining restaurant. Hours are Monday-Friday 11:00 AM-10:00 PM, Saturday 4:00 PM-11:00 PM. Ever since it opened in 1888, the Oyster Bar has always been a tavern and serving Fort Wayne legendary fine dining cuisine. A short walk from downtown, expect great seafood and steaks! Located at 1830 S. Calhoun St. Hours from Monday-Thursday 11:00 AM-10:00 PM, Friday, 11:00 AM-11:00 AM, and Saturday 5:00 PM-11:00 PM. Enjoy lobster, oyster on the half shell, fresh cut steak, chowder, and more! Enjoy the great food on Paula&apos;s menu and then shop their seafood market to try your take at home. Located at 1732 W. Main St. Lunch hours are Monday-Friday 11:00 AM-2:00 pm and dinner hours are Monday-Saturday 5:00 PM-10:00 PM. Grab a stool, and enjoy slider-style hamburgers and old-fashioned bites like some of their chili and great shakes! Located at 1402 S. Harrison St. Hours are Monday-Saturday 5:00 AM-12:00 AM. For a taste of Latin-themed food, make a visit to Proximo. Serving breakfast, lunch, and dinner Proximo is the perfect downtown restaurant during any time of day. Enjoy Maple Pancakes for breakfast, tortas for lunch, and a wonderful entree like Salmon Succotash for dinner! Located at 898 S Harrison St. Hours are Monday-Thursday 6:00 AM-10:00 PM, Friday-Saturday 6:00 AM-11:00 PM, and Sunday 6:00 AM-9:00 PM. For a fine dining experience in downtown Fort Wayne, book a reservation at Ruth&apos;s Chris. Serving lunch on Fridays and dinner every night, celebrate your special occasion with some of the best steak and seafood options including ribeyes, Lobster tail, and much more! Enjoy dinner, happy hour, or a sip of their signature cocktails. Located at 224 W Wayne St. Hours are Mondays and Sundays 4:00 PM-9:00 PM, Tuesday-Thursday 4:00 PM-10:00 PM, Friday-Saturday 4:00 PM-11:00 PM for dinner. Lunch is served Fridays 11:00 AM-4:00 PM, and Happy Hour is Monday-Sunday 4:00 PM-6:00 PM. If you&apos;re on the hunt for some great barbeque in Fort Wayne, you need to check out Shigs in Pit! From St. Louis style ribs to flavorful chopped, Shigs in Pit serves just about everything barbeque related - all served with their own competition-quality barbeque sauce. And, don&apos;t forget about their homemade side dishes! Located at 2008 Fairfield Avenue. Hours are Sunday-Thursday 11:00 AM-9:00 PM and Friday-Saturday 11:00 AM-10:00 PM. If you&apos;re hungry for pizza, 816 Pint and Slice offers excellent pizzas in the heart of downtown. 816 Pint and Slice is located at 816 Calhoun Street. Hours are Sunday-Monday: 11:00 am-8:16 pm; Tuesday-Thursday 11-10:16 PM; Friday & Saturday 11-8:16 PM. As Fort Wayne&apos;s first farm-to-fork restaurant, you can expect to experience the best seasonal local ingredients. Located at 614 S. Harrison St. Hours are Tuesday-Thursday 11:00 AM-9:00 PM, Friday 11:00 AM- 10:00 PM, and Saturday 4:00 PM-10:00 PM.